A couple of weeks ago I read a great article by Kelsey Jones about the opportunity in emoji SEO. 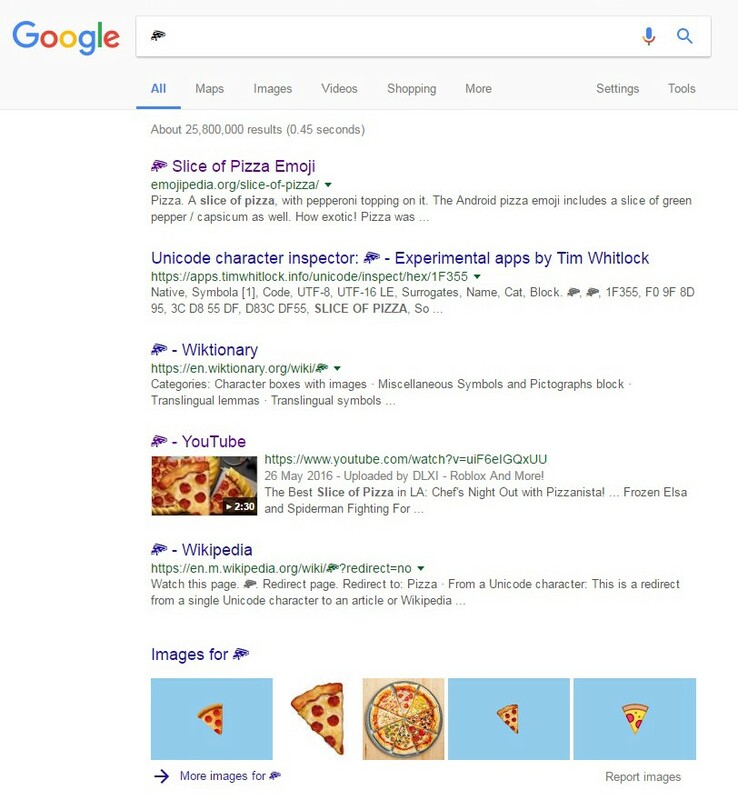 The article took the 🍕 as an example to show the results in Google which returned articles about the pizza emoji and one incredible video about getting pizza. Here are the results when I search using 🍕. Kelsey continues her investigations by adding words to the emoji which started to show results a user might appreciate- places to get pizza! So, by searching for ‘🍕 near me’ the kind of results you might expect were returned. 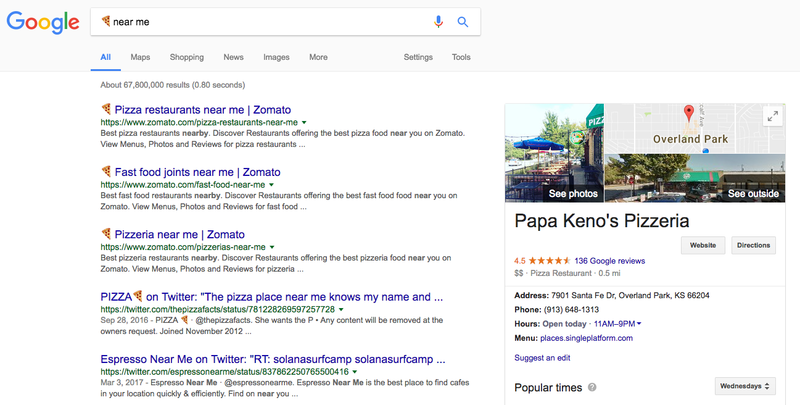 Kelsey points out that there is no mention of 🍕 on the knowledge graph and Papa Keno’s Pizzeria is not using 🍕 on their website. This really intrigued me as an evangelist for the use of emoji domains. I started to play around on google with other emoji, specifically with ⌚. Here is what I got above the fold when I Googled the keyword ‘watch’ on my phone. I get a couple of ads, one for a Swedish watch company, one for the Apple Watch and the first organic listing, Watch Shop. Then I searched using ⌚ and this is what returned. If the same rule would apply as when searching for ‘🍕’ I would have expected articles about ⌚ and pictures of ⌚. Instead, I got the same Apple Watch result, except this time it was an organic listing because presumably no-one is yet buying against the ⌚ emoji. 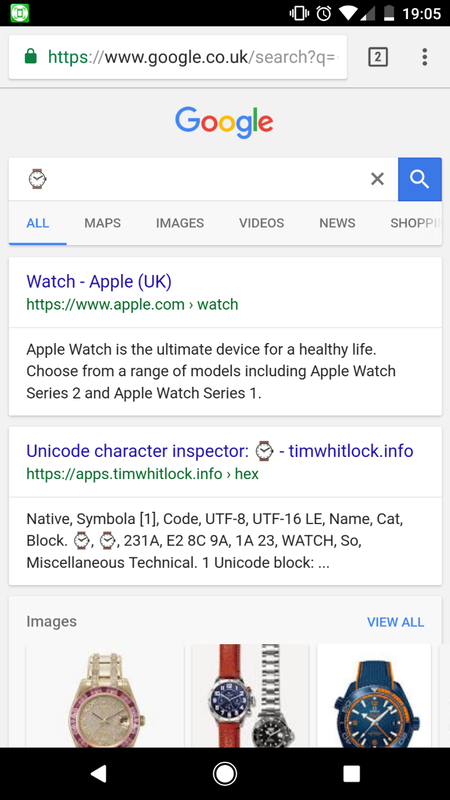 The second result is a common one when searching for emoji as Tim Whitlock’s Unicode character inspector comes up quite a bit. But, just above the fold, pictures of real watches. Below the fold when searching for ⌚ this is what I got. Below the row of images, sits a GQ Magazine page containing multiple articles on watches. Then an organic listing for Omega Watches. That’s a brand that sells watches registering as the 4th listing for the ⌚ search. What could this mean? 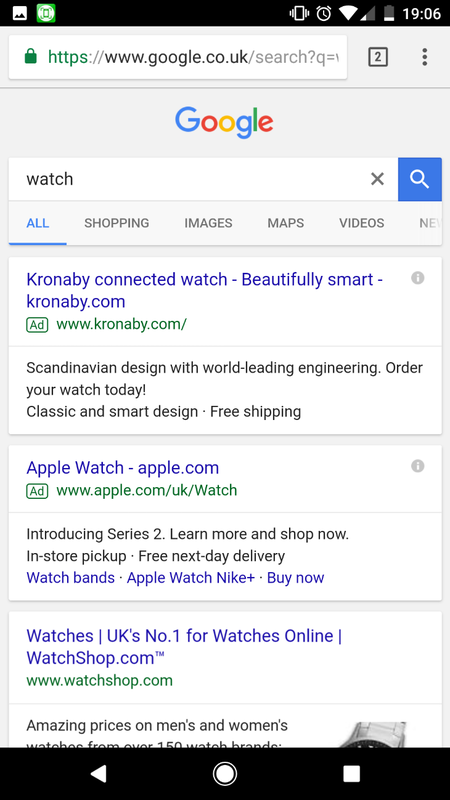 Is Google treating this as the keyword ‘watch’? 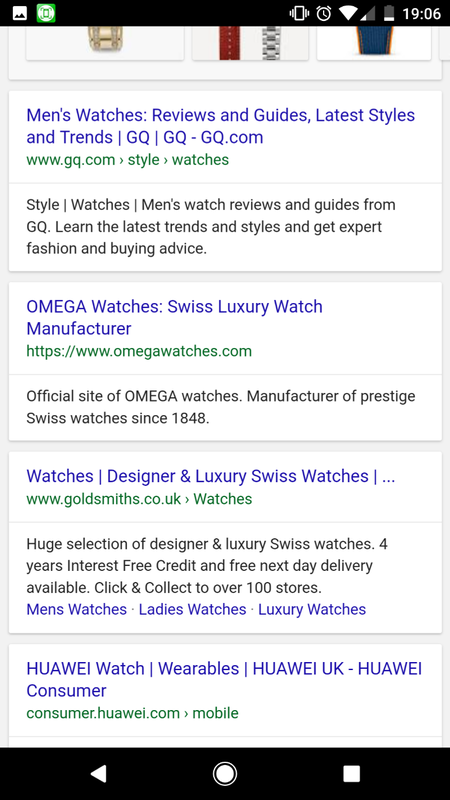 Every single one of the results in Google- except the Unicode character inspector- relates to wristwatches even though there isn’t sight of an emoji on the page results nor on the pages the links direct too. I also tried searching with other engines too. Here are desktop searches for Yahoo, Bing and DuckDuckGo. 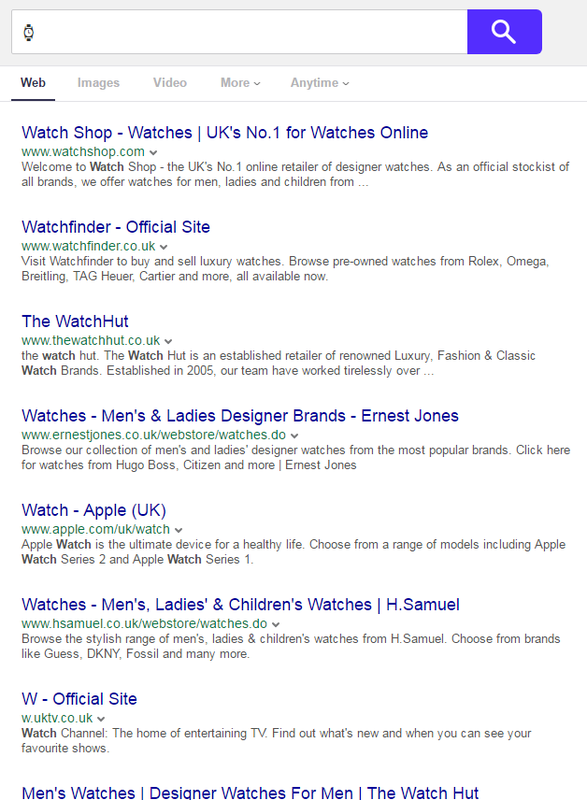 Of the 8 viewable search results here 7 of them are for businesses selling wristwatches. 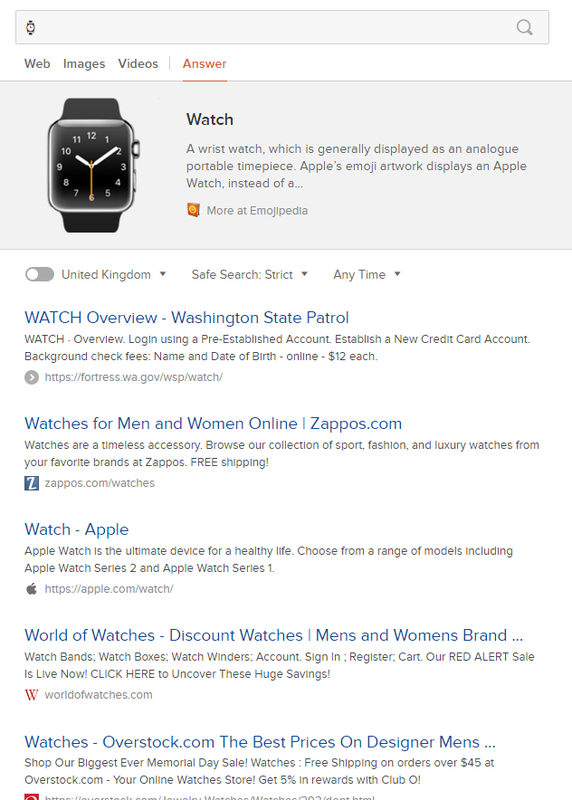 The only one that isn’t pertinent to the emoji is the 7th placed listing, ‘W-Official Site’ where Google has chosen to show a link presumably using the word ‘watch’ as a verb rather than a noun. You could suggest that over time, as search becomes even more nuanced, the fact that the emoji is clearly a wristwatch will eliminate this kind of result. Of the top 6 results in Bing, the same thing happens. 5 of them are for retailers of watches and again there is no sight of the emoji in the listings or on the sites. The 1 result that isn’t pertinent is the same as in yahoo where the word ‘watch’ is used as a verb not a noun. DuckDuckGo is supposed to have the least tracking as a search engine and so I thought a search here would be interesting. Information about the emoji itself taken from emoji encyclopedia, Emojipedia, is the top and most prominent result. 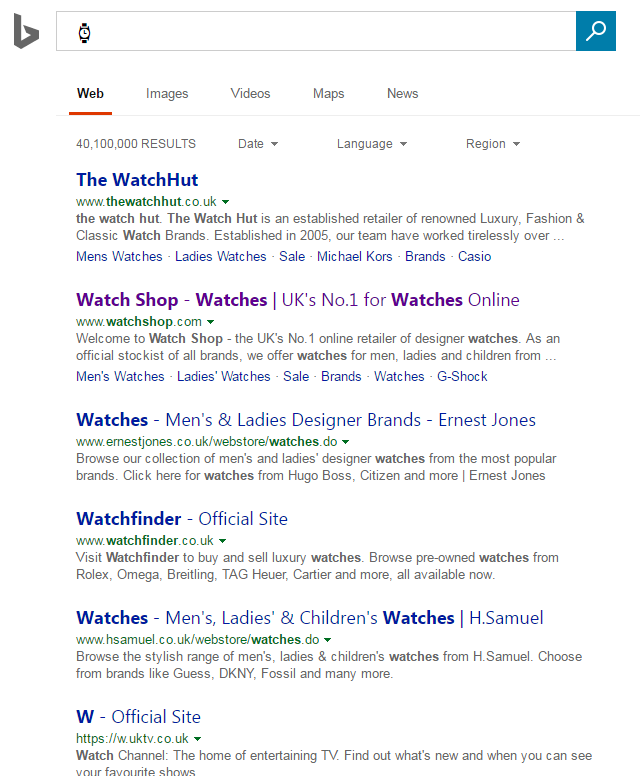 Of the 6 results in DuckDuckGO, only 3 are watch retailers but that’s still 50% of all listings for ⌚ returning results with a pertinent commercial application. What would the domain ⌚.ws mean to a watch company? How valuable could it be to own the one and only emoji relating to your industry? 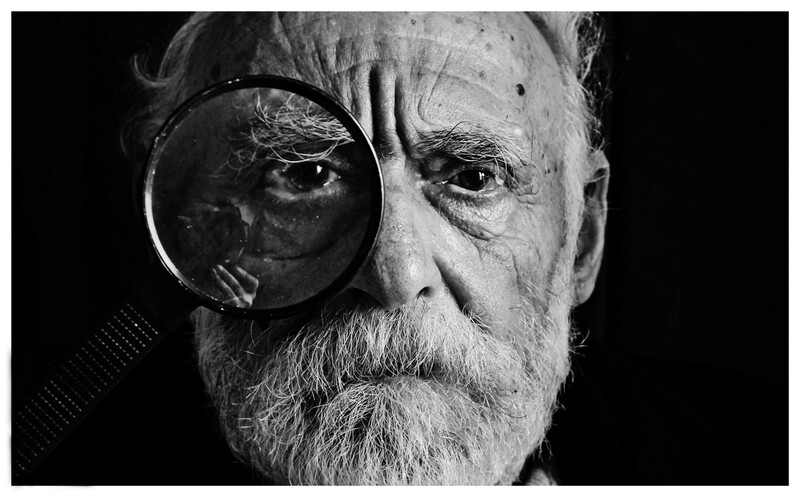 With the continual permeation of emoji in society it won’t be long until emoji seo becomes a very real concern for businesses looking to connect with their audiences in a natural and native way. Emoji domains are going to play a pivotal role and there will be a window of opportunity for the first movers to take advantage of the novelty factor.